Keeping your fleet operations safe with high specification fluorescent and reflective materials, we offer an extensive range of Chapter 8 materials, with up to 10 years warranty. Rennicks offers an extensive range of Nikkalite® Chapter 8 materials, with up to 10 years warranty, via our approved converter network. Your kit supplier for Nikkalite® products will be able to advise accordingly and recommend the best product to suit your individual fleet requirements. Nikkalite® Microprismatic materials provide greater conspicuity compared to traditional engineering grades. With increased reflectivity by a factor of 10, there is a large improvement in visibility distance, increasing safety for all road users. Hi-S Cal® Fluorescent vinyls offer high visual impact and enhanced recognition in poor visibility, particularly during inclement daytime conditions and the twilight hours making them ideal for vehicle conspicuity. 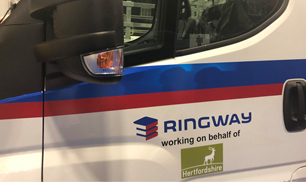 An enclosed lens sheeting with a performance life of up to 5 years making it suitable for vehicle conspicuity markings, commercial and industrial signage. A cost effective, intermediate grade, prismatic material that can be used for Chapter 8 vehicle conspicuity livery. Its unique reflective structure offers high levels of retro-reflectivity that are required for the high-speed end of vehicle Chapter 8 requirements. 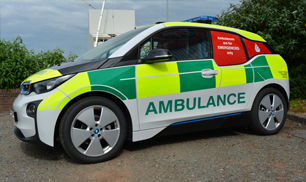 A flexible microprismatic retroreflective sheeting designed for emergency vehicle liveries, providing exceptional early recognition of the vehicles position to other road users.